At Ozark Drones we frequently get requests to fly our drones indoors or in confined exterior spaces. This can pose a problem due to the size of our larger DJI Inspire 1 drone. In the past we’ve been limited to only flying indoors in large showroom or warehouse areas. However, we’ve recently added the new DJI Mavic Air to our aerial fleet, which is compact and ideal for filming indoors. The DJI Mavic Air weights in at just 1lb, but don’t let its small size fool you. It still packs a plethora of features such as 4K video, 12 mega-pixel RAW images, and a 3-axis gimbal for camera stability. 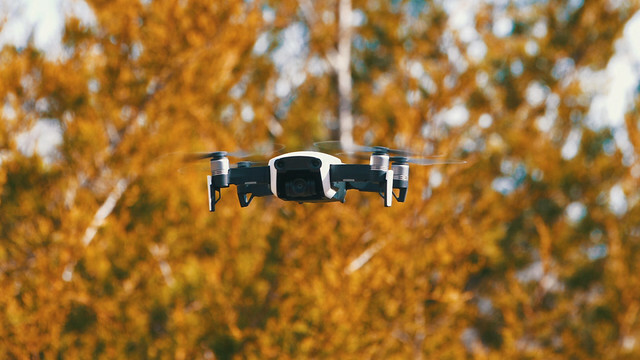 One of the newest features implemented into the DJI Mavic Air is Vision Based Protection. Built into the drone are six camera sensors that provide directional environment sensing. This allows the drone to detect when it is close to hazards and force the drone to yield, where it will continue to hover safely in place. The foldable design of the Mavic Air also makes it ideal for using on remote client shoots that may be off the beaten path. Stay tuned as we will soon be releasing a nature video showcasing some recent freezing rain that hit the Ozarks. The entire video was filmed with the DJI Mavic Air and should be a testament to its quality and performance.